It seems Lyon have big forces on their side as they take on Manchester United in the Champions League. Man Yoo have complained to Uefa that Cristiano Ronaldo was attacked by a frickin’ laser beam before kick-off in last night’s match. 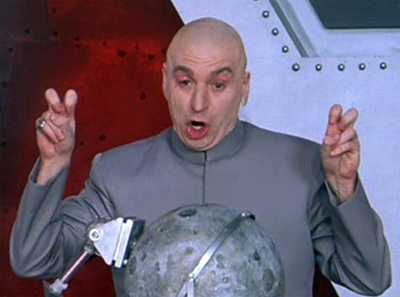 Ronaldo was apparently dazzled by a “laser” during his warm-up. Perhaps they were planning to hold the Portuguese winger to ransom for… $100 billion.